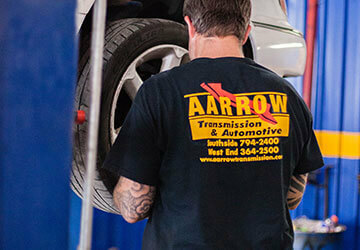 Here in Richmond, those in-the-know trust their auto repair and service needs to Aarrow Transmission. That’s because we’ve been taking expert care of cars – and local customers – since 1985. Our two full-service auto repair centers, in Glen Allen-Short Pump and South Richmond-Midlothian, employ some of the best mechanics in Central Virginia. You can trust our ASE-certified technicians to handle any car repair. Here at Aarrow , we’re big believers in regular, scheduled car maintenance. Simple maintenance not only keeps your car performing at its best, but can also add years to its life. Our timely inspections can also find and repair small problems before they become big, costly ones. 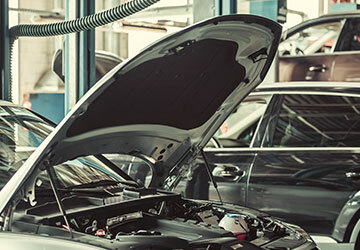 Some of the most common auto services and repairs for an auto shop are as follows: oil changes, wiper blades replaced, replace air filter, new tires, battery replacement, brake work, antifreeze added, engine tune-up, as well as wheels aligned and balanced. 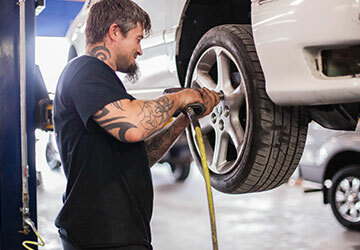 Our mechanics are Richmond’s transmission repair experts. We’re certified, highly-trained, and experienced. 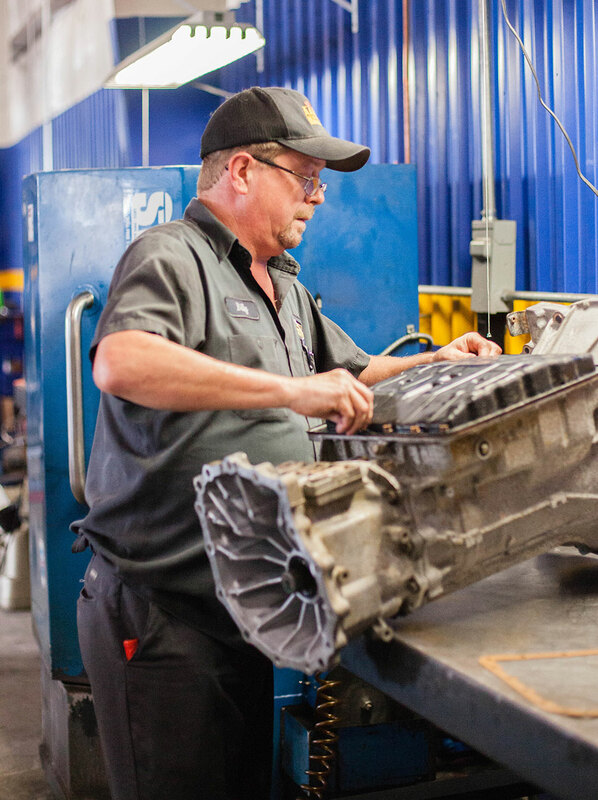 We can expertly repair, rebuild, or replace any transmission – foreign or domestic, classic or cutting-edge. Aarrow services and repairs auto engines of all shapes and sizes. So whether your engine issue is a loose gas cap, a bad sensor, or something more, you can trust our ASE-certified mechanics to keep a small issue from turning into an expensive one. If you need a more extensive engine repair, rebuild, or replacement, you’ll help you make the best choices for you and your car. You spend too much time in your car to suffer in it. So, if your AC can’t help you keep your cool, call Aarrow. we’ll inspect your compressor, your drive and serpentine belts, and your fittings, hoses, and seals. 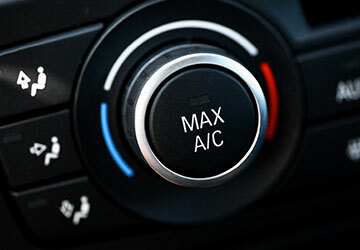 Whether you need an AC repair or a boost of refrigerant, we’ll make your car comfortable again. 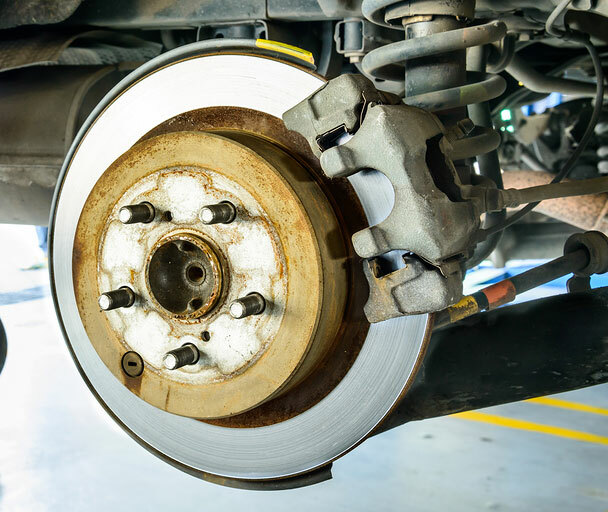 We recommend scheduled brake service that includes an inspection of pads and shoes; inspection for leaks from wheel cylinders, lines, calipers, and the master cylinder; realignment of front disc brakes and replacement of brake shoes; rotor and drum refinishing. If your brakes need repair or replacement, we’ll get the job done right. 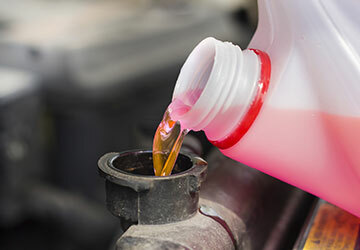 Get an oil change here at Aarrow Transmission, and we’ll also check your air filter, as well as your coolant, anti-freeze, brake, transmission, and power steering fluids. If you need a refresh or replacement, we'll let you know if you need a new filter or fluids; and we’ll also review your vehicle manufacturer’s suggested maintenance schedule. 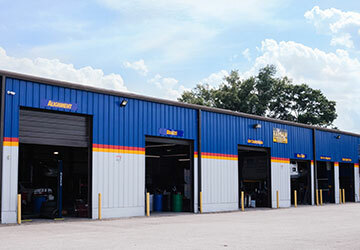 Many Richmond businesses trust Aarrow Transmission to keep their car and truck fleets on the road and running smoothly. Our proactive programs schedule fleet maintenance and inspections well in advance, giving you and your company the time you need to make adjustments in forecasting and scheduling. Is it time for your car’s Virginia state safety inspection? Make an appointment with Aarrow today. If your car doesn’t pass inspection with flying colors, our certified mechanics will get your car up to speed in no time. When your tires perform well, they help to keep you and your family safe; they deliver better performance and fuel economy; and they’ll last longer – saving you money and benefitting the environment. 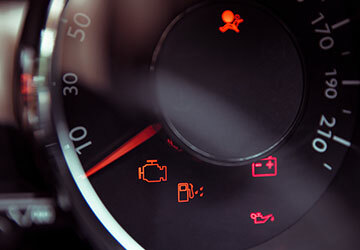 Aarrow has the scanners, software, and tools to diagnose any automotive electrical issue. We also have the expertise to repair any problem we find, in any of these areas: batteries, alternators, starters, lights, check engine lights, and drivability issues. 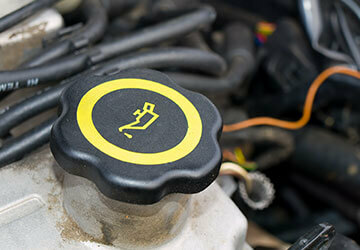 A well-maintained fuel system allows your engine to work smoothly and more efficiently – and can save fuel and money. Count on Aarrow to skillfully diagnose, service, and repair your hoses, pumps, filters, lines, tanks, and any other fuel system components. Your auto’s cooling and heating systems do more than keep you comfortable: They also keep your engine running at its safest, most-efficient temperature. Count on Aarrow for expert diagnostics, service, and repair of your car’s radiator, hoses and belts; fan clutch, electric fans, water pumps, and more.